Aldehydes and ketones are carbonyl compounds in which the carbonyl carbon is connected only to carbons atoms (in the case of a ketone) or to one carbon and one hydrogen atom (in the case of an aldehyde). Carboxyloids, or carboxylic acid derivatives, are carbonyl compounds in which the carbonyl carbon is attached to one carbon and one heteroatom. Most commonly, the heteroatom is an oxygen, nitrogen, sulfur or chlorine. Carboxylic acid derivatives were historically thought of as being made from carboxylic acids; hence the name. That name is a mouthful; we will use the term "carboxyloids", a term coined by the 20th century physical organic chemist, Christopher Ingold. The reactivity of carboxyloids is typically different from aldehydes and ketones. Because of this difference it is useful to study these compounds separately from the simple carbonyls. What are some things that the heteroatoms involved in carboxyloids have in common? 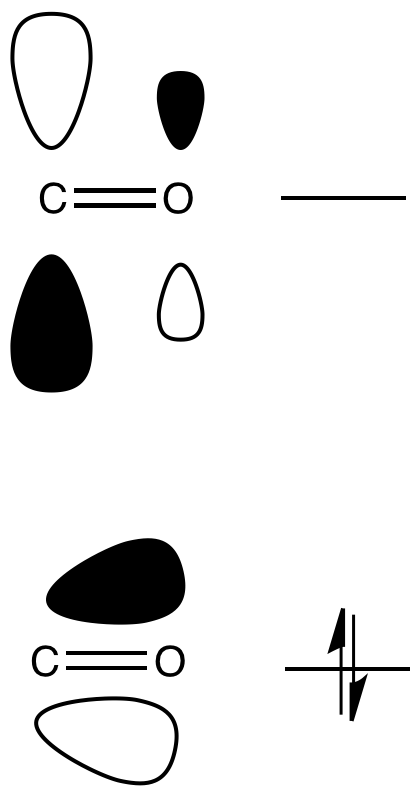 Like simple carbonyls, carboxyloids react with nucleophiles. Just like simple carbonyls, the LUMO of a carboxyloid is usually the C=O pi antibonding orbital (the π*). Populating this orbital with a pair of electrons from the nucleophile results in breaking the C=O pi bond, leaving only a C-O sigma bond. Remember that this addition to the C=O bond is often reversible. In the case of carboxyloids, however, re-forming the pi bond can go through two pathways. In one pathway, the nucleophile can be displaced, returning to starting materials. In another pathway, the group attached to the carbonyl can be displaced instead. In that pathway, a new product results.